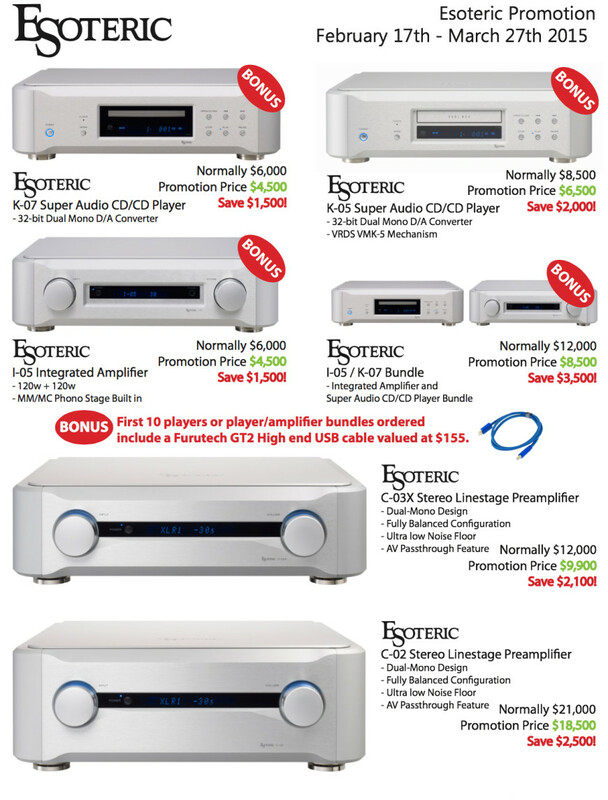 With March fast approaching the good people at Esoteric have offered a promotion on selected models that is too good to resist! Brand new K-07 & K-05 in both silver and black are available at big discounts as well as great savings on I-05 & I-03 integrated amplifiers and C-03x & C-02 pre-amps! See the pic below for more details! Products can be ordered through our site or by calling us directly on 03 8813 0130. There is limited stock available (especially on the black models) so do not hang around! Payment at time of order is required and units will ship from Japan within 3 days of payment being received.